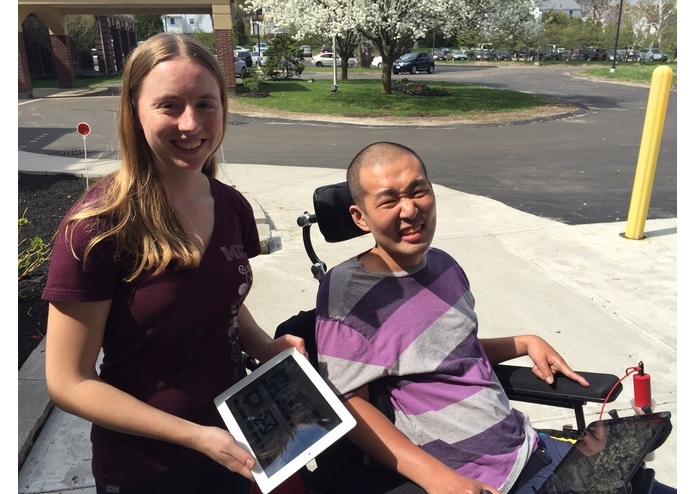 iPad app that serves as an accessible Nurse Call System in a home for people with neurological disabilities. For many residents of The Boston Home (TBH), located in Dorchester, Massachusetts, calling for help is not a simple task. 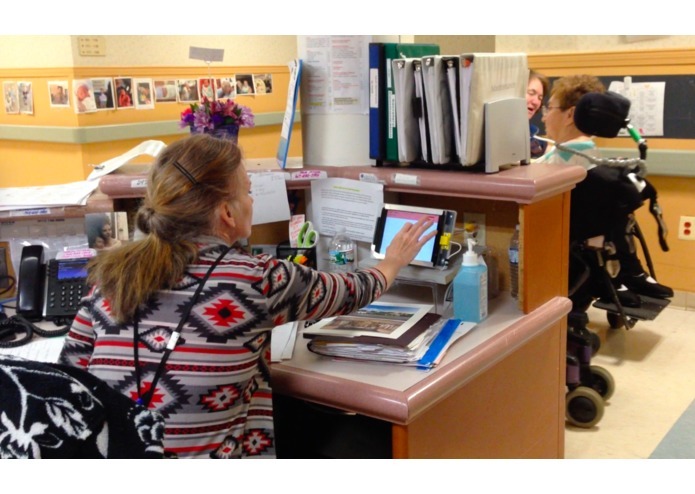 Most residents have limited mobility due to diseases such as Multiple Sclerosis (MS) or Amyotrophic Lateral Sclerosis (ALS), making it difficult, if not impossible, to reach the help button wired to the wall. 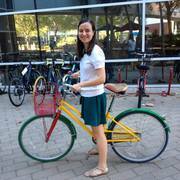 This problem was brought to our attention when my teammates and I took MIT's Assistive Technologies class. 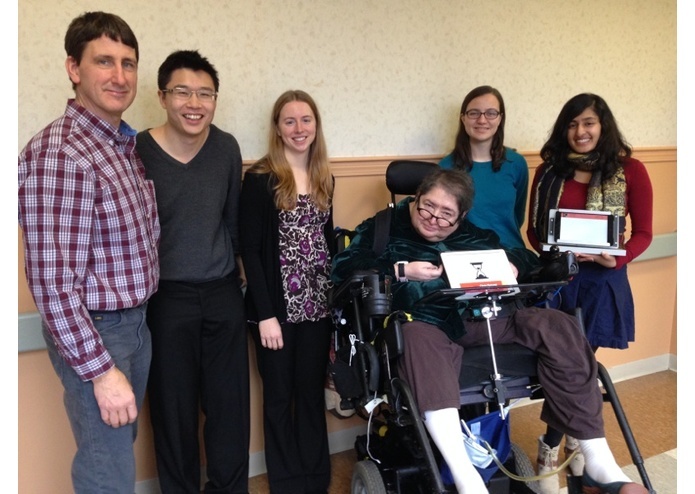 This course pairs students with clients from the Boston community who have a disability and an idea for a technology that could be built to address their need. 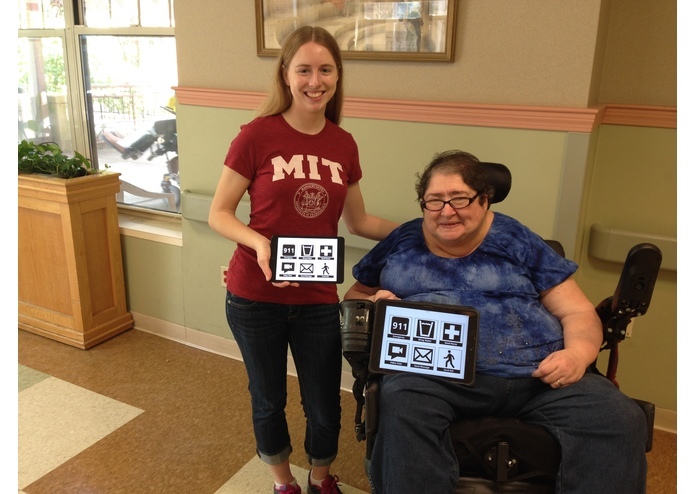 My team for the class, consisting of MIT students Laura D'Aquila and Tanya Talkar, worked directly with Margaret, an active resident of the home and advocate for assistive technology. Margaret worked with us to co-design InstaAid, an iPad application that enables residents to call for help more accessibly. 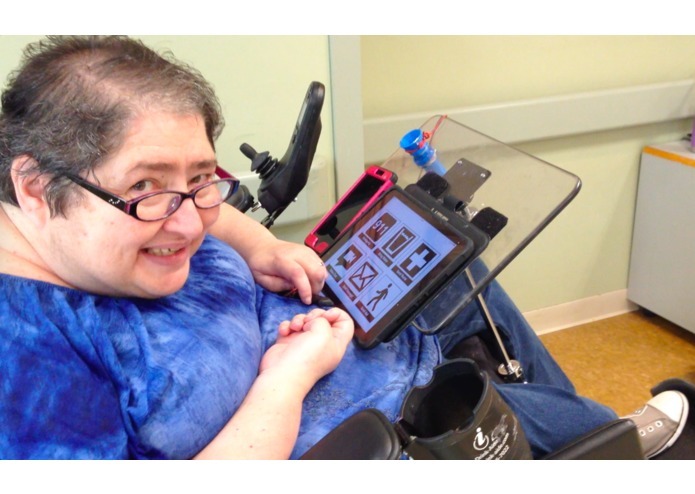 This solution proved feasible because many residents of TBH regularly use iPads attached to their wheelchair. 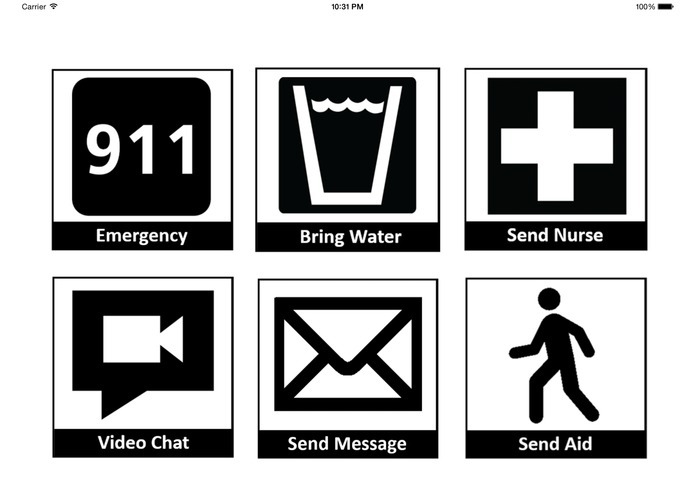 InstaAid has two separate interfaces - one for the residents to use to call for help, and another for the nurses to view and respond to requests. 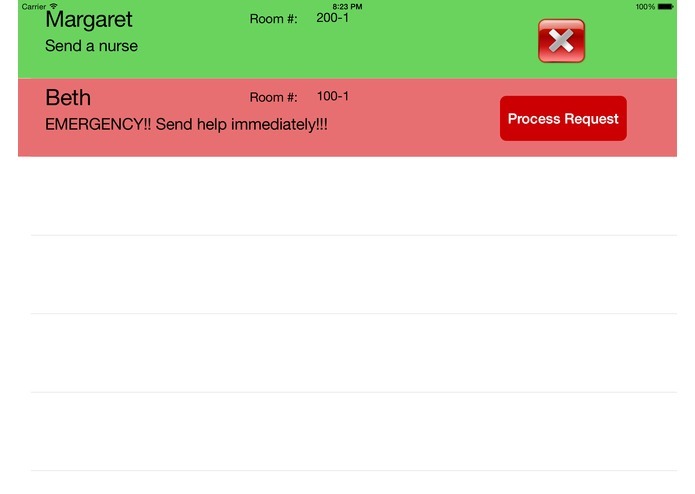 With InstaAid, residents can send custom requests for assistance and also video chat with the nurse. We met with Margaret weekly to design the application's interface, which ensured our application addresses the needs of users. We also reached out to many other residents and staff of The Boston Home to receive a range of input, which guided our design choices and feature selection. For example, Alex Burnham, Director of Rehabilitation Services, advised us to use large, black and white buttons to reduce visual strain for users with visual impairment. 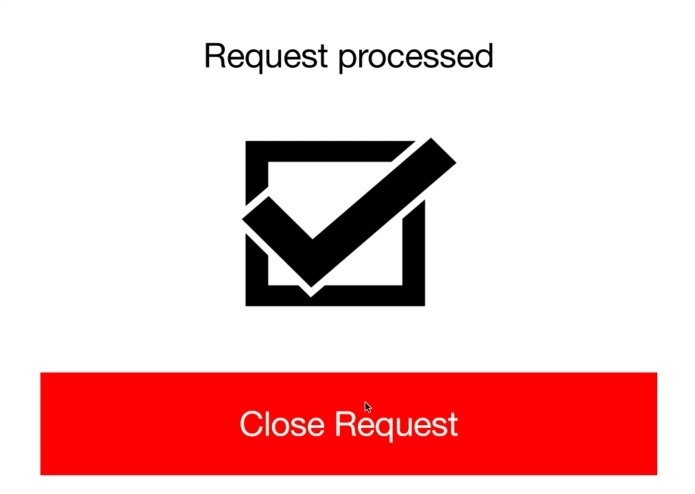 The application went live on the Apple App Store in April, and since then over 25 users have sent and processed more than 300 requests. Thanks to feedback from users during our beta testing period, we implemented a number of modifications to enhance the usability of the application, and it is now deployed permanently at The Boston Home. 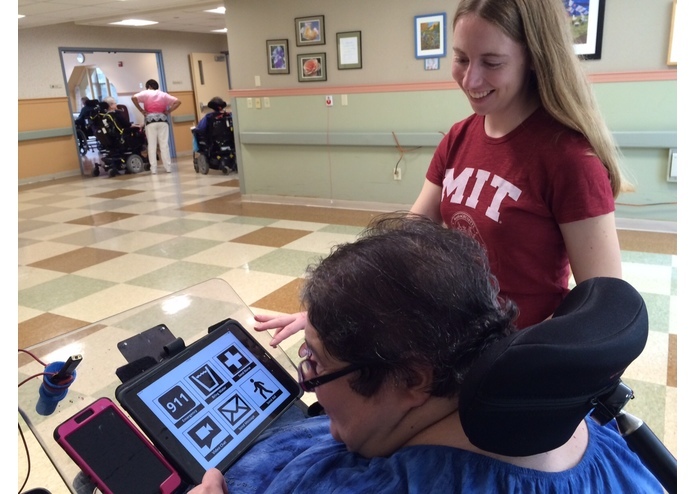 We received a grant from the MIT Public Service Center, which enabled us to purchase an iPad that we permanently installed at the Boston Home for use with InstaAid. InstaAid provides an accessible way for residents to call for help, regardless of their abilities or limitations. 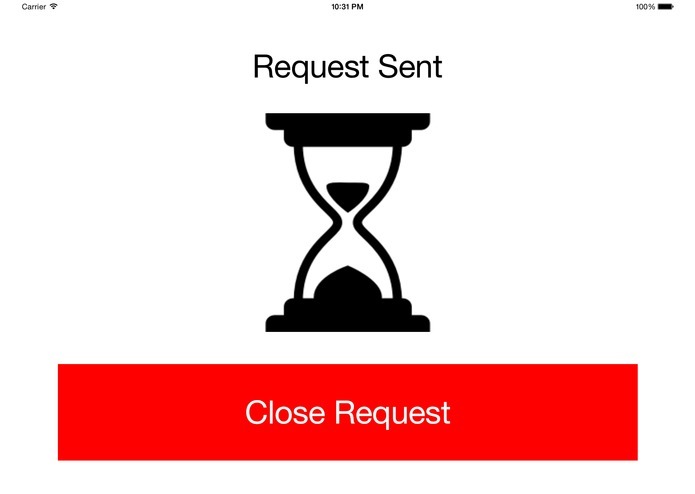 As an iPad application, our solution is extremely cost efficient - it may be downloaded for free from the app store and works well on even the most basic iPad. Users love being able to use mainstream technology - an iPad - rather than needing to learn a new piece of hardware. 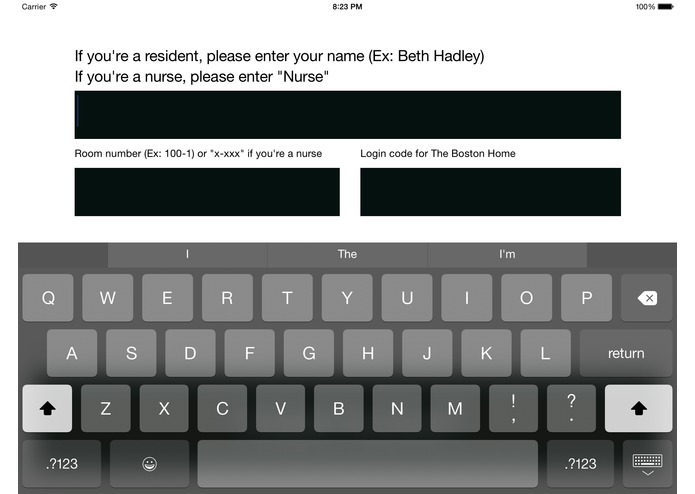 Nurses at The Boston Home have quickly adapted to using the application and even look forward to responding to resident requests, especially when they come in as Facetime video chat calls. Residents have been known to play jokes with the application, sending requests like "beer please" and "can I have a back rub" in addition to nice notes like "thanks for the water" and "wow the flowers are beautiful today". Residents and staff have truly adopted the application in a way that makes it their own. The app empowers individuals to live more independently by allowing them to complete their daily schedules with the assurance that they have a means to call for help when they need it. Because many assistive living communities can benefit from a similar solution, the application has great potential beyond The Boston Home. As such, we have been working to promote InstaAid among the Boston community and beyond - I (Beth) presented the project at the Boston User Experience conference (http://uxpaboston.org/events/user-experience-conference-2015/), and an article about the project was published by MIT News in May (https://newsoffice.mit.edu/2015/empowerment-through-mobile-technology-and-co-design-0518). 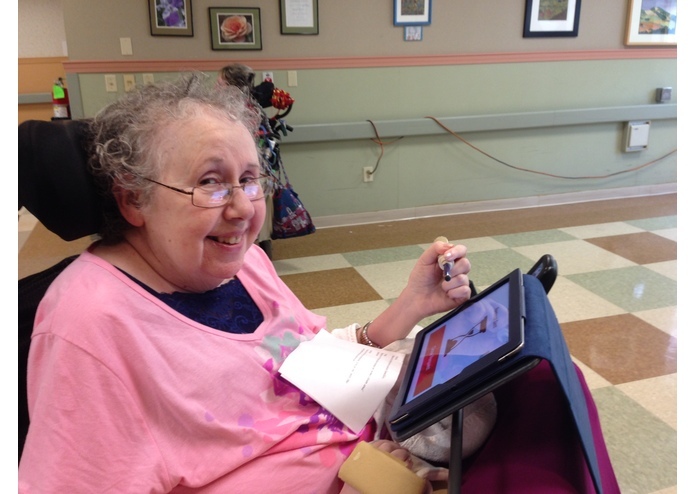 I have already pledged to Margaret and The Boston Home that any winnings earned from the Connect Ability challenge will go directly to them. This money would help ensure the sustainability of the project, because it can be used to purchase iPads for residents of the home who currently do not own an iPad. It is my hope that by applying to this Connect Ability Challenge, our work can be used to inspire other developers to make a difference in their communities. Working with Margaret and The Boston Home has absolutely been the most rewarding and fulfilling project we've ever undertaken, and we're extremely grateful to everyone who has made this opportunity possible.